We are a gang of closely knit friends who met each other as colleagues, flat mates, friends of friends, and realized our common leanings and aspirations. All of us are creative individuals with professional training and rich experience, each being an expert in their own right. Our company represents not only the collective hard work each one of us has put in the media line to be able to start our studio, but also the nutshell for our collective aspirations. Together with our troupe of film directors, musicians and music producers, editors, camera crew & every other resource at hand to successfully execute a moving picture production, we are in pursuit of being known as the best, all purpose production house in Delhi & beyond. Besides our core team depicted in the pictures alongside, we also have associations with various professionals like graphic designers, web designers, photographers, event companies & top notch production crews all over the country. 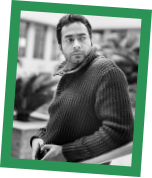 Faisal a Director/Producer, is a story teller at heart. He has worked with reputed companies like, Times Broadcasting Network & Anupam Kher Company, Mumbai. As a professional from the advertising industry he has worked for brands like Cafe Coffee Day, Godrej, Neutrogena, Parle Hide n’ Seek, Western Union & Air Vistara. He sharpened his skills by assisting film makers like Karan Johar, Rahul Dholakia, Rajkumar Hirani & Muzaffar ali. With over 30 corporate films and 40 plays written and directed by him, shows his passion for his work.He has also trained actors like Deepika Padukone, Katrina Kaif, Neal Mukesh, Sonam Kapoor, Jacqueline Fernandes, Miss India Pageant winners like Parvathy Omnakuttan, Pooja Chopra, Manasvi Mamgai, Simran Kaur Mundi etc. He has worked closely on various productions with stalwarts like Shah Rukh Khan, Sanjay Dutt, Lucky Ali & Anupam Kher. His debut feature film, Mere Paas Baap hai, is a dark comedy which released in Aug'2018 through Sony Pictures Network. Faisal also heads the Gen Next Actors' Studio as its director and senior faculty. Wizard is what we all call him, Rahul has been there done that. He is a proficient and experienced Cinematographer, an expert editor and has been training students for years. He has an answer to all technical queries and can work across all formats. He has directed the tele series ‘little detectives’, TVCs for the united group and corporate films for Pinnacle group, Rajasthan Tourism and NDTV. 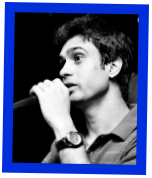 He is the recipient of Dada Saheb Phalke Film Festival – 2012, Special Jury Award for his music video ‘Dilwalon ki Dilli’. He has filmed International Salsa Festival from 2012 till date. He is also the DOP of ‘Die Why Die’ which has high visual appeal and has recently completed shooting the Feature film ‘Mere Paas Baap Hai’. ‘Filmy Saiyaan’, a music video directed by him is very popular amongst the young generation. In-house geek, nerd, post producer and director. 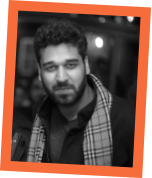 Anuj has worked on over 130 films and advertisements in streams as varying as direction, Creative, post production, visual promotions and even in the camera department. 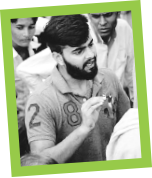 Being one to prefer roaming within the industry to absorb the best of the best, Anuj brings to the table vast experience, creativity and technical know-how. Some of his earlier stints have been with Pentacle Creations, Prime Focus, Stereovision & Sagar Arts .His name appears in the credits of more than 100 mainstream Bollywood films under Visual Promotions. Bhaag Milkha Bhaag, Kahaani, Gangs of Wasseypur, Barfi, OMG, Zindagi na Milegi Dobara, Rakhta Charitra & Yeh Jawani Hai Deewani are a few films he has worked on. 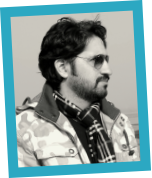 Faisal H. Bhat is a photographer and a cameraman who is always on the move. 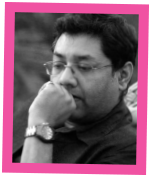 He has worked with The Associated Press, The Times Group, The Dainik Bhaskar Group, Doordarshan, UGC to name a few. He has also shot events for MTV, Dubai Cruise, Hilton Worldwide, Philippines Tourism to name a few. When not behind the camera transforming a regular space into something straight out of a dream, he will probably be found in some corner of the Kashmir valley with his trusty Nikon, capturing the landscapes and experimenting endlessly to better his craft. 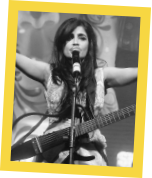 Shibani Kashyap is a popular playback singer, composer and an electric live performer. 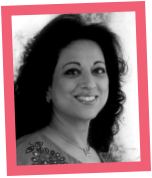 She is internationally recognized for chart topping bollywood songs like HO GAYI HAI MOHABBAT, SAJNA AA BHI JAA, ZINDA HOON MAIN, KYA NAZAKAT HAI, while regularly regaling audiences at various events & occasions internationally. A voice up there with the best of them, she was one of the highlights of the opening ceremony of the 2012 Commonwealth Games, when the popular sport extravaganza was held in New Delhi. Varun Ahuja is an exceptional amalgamation of a songwriter, guitarist and an eclectic live performer. Currently a member of a popular Delhi-based Sufi Rock/Indie band Ehsaas(Suryaveer)-whose prominent works include the OST “Aye Zindagi Gale Lagale” from the movie “Prague”, Varun has a deep background in playing for live audiences and exclusively recording and producing music. A vagabond of his art in the truest sense, he has played with Junoon, Cyanide, Aryans, Farhan Saeed (Jal), Kailash Kher, Zila Khan (Coke Studio), Atif Aslam, Shafqat Amanat Ali, to name a few. In a span of 12 years, Varun has performed over 1000 shows both across India and internationally. He has also composed the music of Mere Paas Baap Hai, which features voices like Lucky Ali, Shibani Kashyap and Prateek Sen.
A Pianist, Singer, Music Composer & a teacher. Having taken piano lessons from Georgie Banks, the late father of Louis Banks, at a very young age, she started composing in Nigeria while studying music at MUSON & cleared her levels at the school with flying colors. Living in India since the year 2000, she has taught Music in many schools like Theme Music Institute and Brian Silas School of Musical Instruments, etc. She feels music is her one & only passion, the association of which gives her happiness and peace within. 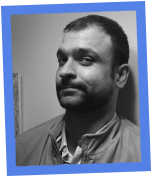 Arpit Agarwal is an aspiring director and a writer who works extensively on the creative content of Gen Next Studio. An actor trained under the aegis of Faiesal Simon himself, he joined the team in its early stages back in 2013. He was the chief assistant director on a feature film produced by the studio. Always grabbing at opportunities to hone his skills further, he has set up his own production house under the banner Lunch Money Productions which works in association with Gen Next Studio. Shadab is an engineer by qualification, but an artist at heart. He worked in an MNC, only to give it up in lieu of following a dream of a different life of creative expression and excellence in the field of arts. In the process he has learned method acting, production and anchoring large audiences. He has strong inclination in being a strong team player and a leader. He has worked on the production of Bollywood films like Delhi 6, Mere Brother ki Dulhan and Naqaab. He has anchored more than 1000 karaoke events and acted in commercials for brands like Toyota and acted in films Listen Amaya and Mere Paas Baap Hai. He was also the lead actor of the much acclaimed short film ‘DIE WHY DIE’. Nikkhil Beri is often referred to as ‘The Quincy Jones of Delhi’, a parallel lightly and lovingly drawn by many well-known singers who have worked with this path breaking sound engineer! Having started fiddling with musical equipment from a very young age, Nikkhil has earned the opportunity to work with such high profile artistes like Rabbi Shergill, Lucky Ali, Shubha Mudgal, Leslie Lewis, Indian Ocean and Euphoria. 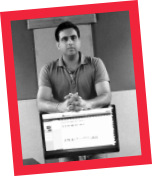 His music production studio in Delhi is known to be one of the most well equipped, state-of-the-art studios, capable of delivering international standards. When not mixing and producing music for the finest out there, he composes ad-jingles for the likes of Pepsi, Dabur, Delhi Metro, Hero Honda, etc.